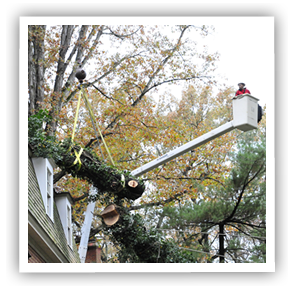 Extreme weather fluctuations in Richmond, VA can affect your trees and shrubs in a devastating way. Proper year-round tree care can mitigate the negative effects of storms on your trees, which in turn ensures your property value won’t drop significantly. Fill out the form below for a free quote on Storm Damage Cleanup Services in the Richmond, VA area. In general, the majority of tree damage occurs during storms, as demonstrated by a study by The University of Minnesota. Needless to say, these damages can be quite substantial. What makes matters worse is that most of these cases are preventable. Usually something as simple as a tree risk assessment and minor pruning is sufficient to vastly reduce the the chances of a major tree failure . This is where Ridgeline Trees Service comes in. With a team of highly-skilled professionals, we can survey the trees on your property to spot and target potentially weak growth structure, previous damage and signs of decay. We can then offer reliable and cost-efficient solutions. At all of our site inspections we make it our mission to identify and suggest solutions for stressed trees, poor growth structure, diseases and signs of decay. We also keep an eye out for any root damage that might have occurred. These are the leading causes for trees that fail to withstand tougher weather conditions. While all healthy trees are quite resilient and can cope well with storms, these contributing factors can make trees more susceptible to storm damage. Broken branches and fallen tree limbs are a common occurrence of both colder snowy months and during summer storms, and at Ridgeline Tree Service we appreciate how time-consuming and costly it can be to deal with the aftermath of these events. 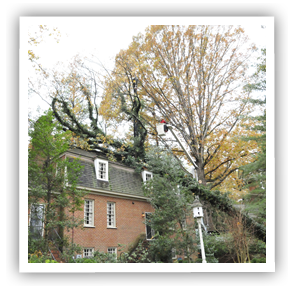 This is why we offer no headache storm damage clean-up and tree removal services in Richmond to ensure your landscape is restored to its normal, healthy state. We work with a large selection of specialized equipment and have ISA-certified arborists on staff to guarantee our clients the best possible results. 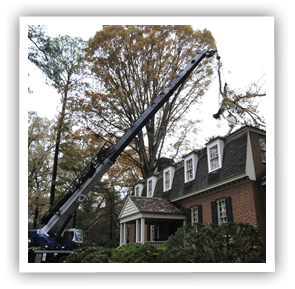 We act quickly to eliminate any potential safety hazards or downed trees and are available 24/7 in case of emergency. 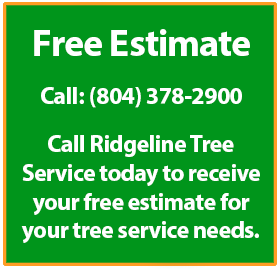 If you have a storm emergency, Ridgeline Tree Service is only a phone call away. We will be happy to look at your situation, give you a fair price on the spot and get your damaged trees cleaned up quickly. Price for your storm damage cleanup is determined by on a case by case basis and is dependent on the complexity of the job. Get in touch with us today for free assessment and consultation.